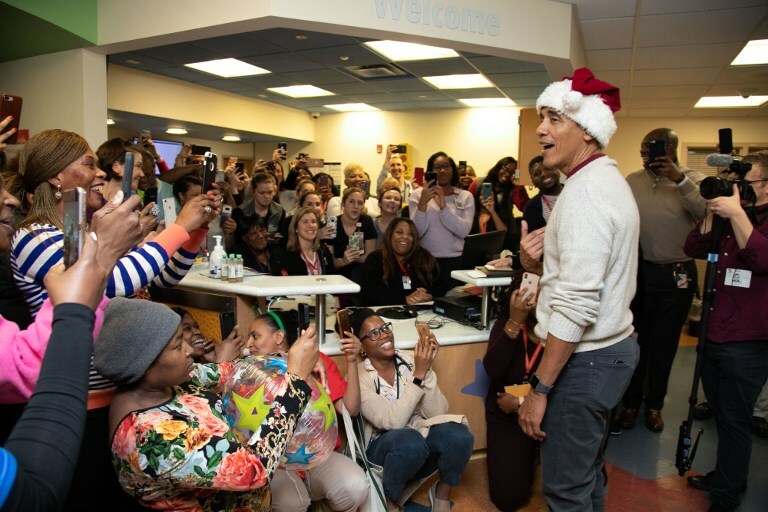 (Washington) – Former US president Barack Obama took on a new high-profile role as Father Christmas for a surprise visit to sick children in Washington. “I just want to say thank you to all of you guys,” Obama told staff, who greeted him with rapturous cheers, in a video he shared on his Twitter account. Sporting a festive Santa hat and armed with a sack of gifts, he delighted young patients at Children´s National hospital with gifts and hugs. “We´ve had the chance to talk to some of the wonderful kids and their families,” he added. The 44th president of the United States still lives in Washington, where he last year dressed up as Santa to visit middle school students at a Boys & Girls Club in the capital.